Need to order more refill as my daughters want to try it on their driveway and screened patio. Also my Cleaning lady wants to order to do her clients home patios. 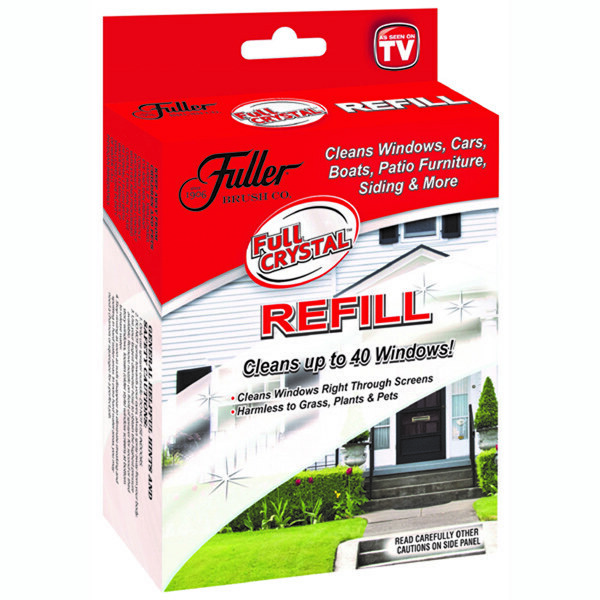 WHEN I USE THE FULL CRYSTAL REFILLS I WILL BUY MORE AS THIS IS THE BEST WINDOW CLEANER ON THE MARKET. great product works good on windows but works excellent on aphid on my crate-mertle bushes,completely wiped them out and the bushes were blooming within 7or8 days,very happy. Good product, but lid to bottle connection ducks. Keeps falling off while you are working.